In an ideal world, we’d all have a backyard garden full of our favorite plants, maybe even a stunning greenhouse bursting with year-round color and tropical foliage. But many of us lack outdoor space with adequate square footage or the right climate for growing certain types of greenery. Gardening in an urban environment presents challenges and can require a little creativity. 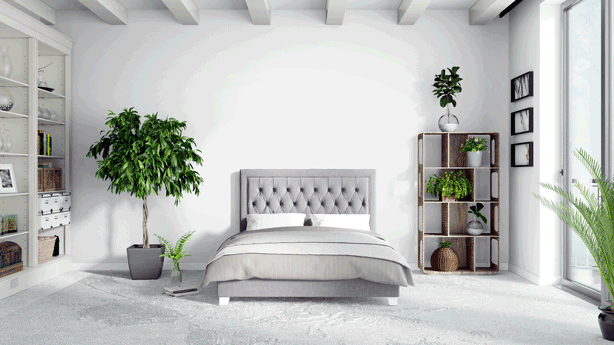 But even if you live in a one-bedroom condo in a high-rise building, you can absolutely include some kind of greenery–and while it’s good for your decor scheme, it’s great for your soul. 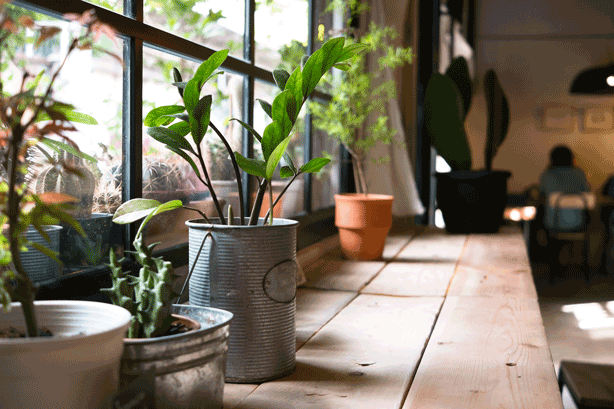 Here are four ideas for successfully creating green spaces for whatever indoor living space you have. To maintain green spaces that remain healthy over time, it’s important to know your growing conditions. Do you have southern-facing windows with full-time bright sun? Is your garden-level apartment generally very dark? Does your home have overactive ventilation that makes it drafty and dry? 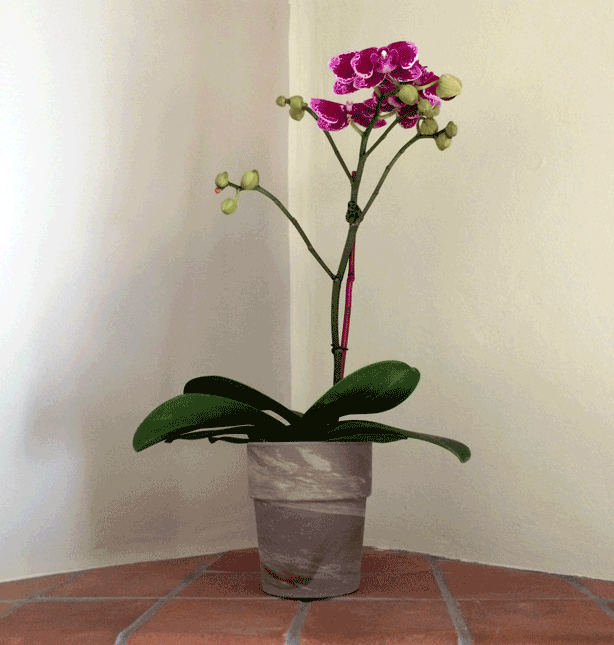 Will your rascal of a kitten knock over all free-standing potted plants in its wake? 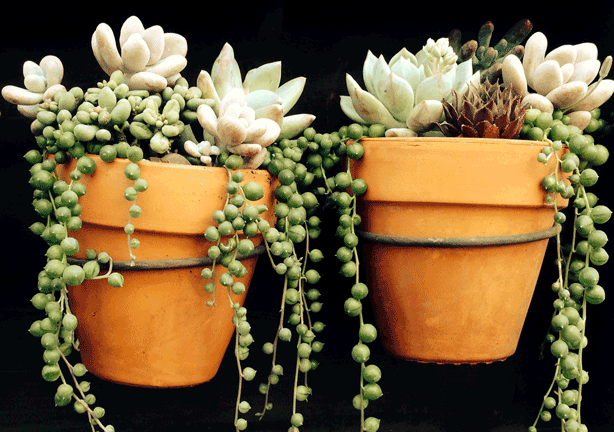 If you’re a beginner—or just want an effortless green patch you can leave alone for days or weeks at a time—start with an array of low-maintenance houseplants. For an easy start, consider tucking a pothos plant up on your shelf and letting the vines trail down, or packing your windowsill with jade and aloe plants. The key is to do your research and pick plants that suit your particular growing environment. Consider anchoring your space with a potted tree or two on the floor—anything from yuccas to ponytail palms. Monstera deliciosa and fruit trees work well. Supplement these dramatic plants at hip height with an assortment of medium-sized plants. Place a spider plant on a pedestal stand or a snake plant on a vintage end table. To top off the display, hang a series of planters from the ceiling and fill them with trailing greens like string of pearls, artillery and ferns. 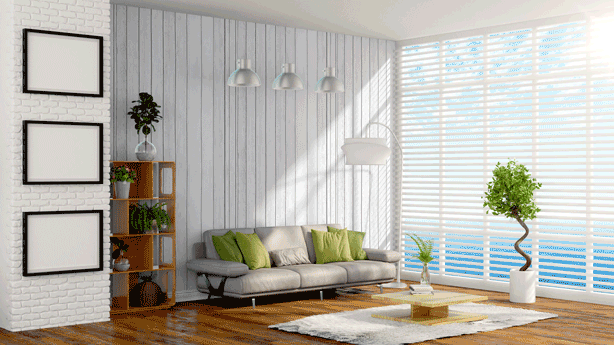 Natural lighting is great, but what about supplemental indoor lighting? Think about how you can enjoy your little slice of green heaven on rainy days or in the evenings without the proper illumination. 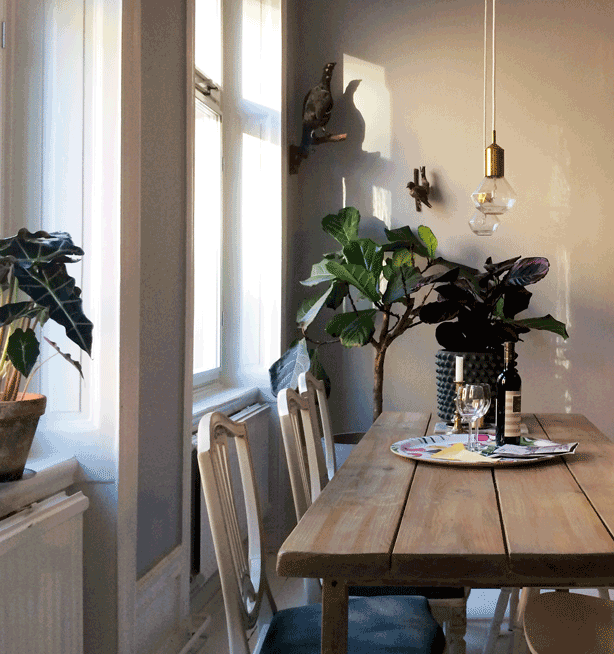 You’ll want to shine some light on your leafy paradise with attractive fixtures that match the space. A well-placed floor or table lamp is a good start, but you really can’t go wrong with hanging LED pendant lights. These modern light fixtures will cast a focused, picture-perfect glow onto your plants, and the many LED lighting choices means you can usually find a bulb with a wavelength that your plants will like. Plus, you’ll appreciate the task lighting when you go to water or inspect the health of your plants. Sometimes all you have is one free wall, and that’s just as workable. As we’ve shared in earlier posts, there are numerous innovative ways to create an interior vertical garden. Installing a series of symmetrical shelves at face-height and above can add loftiness to the space. Line the shelves with the same varieties or fill them with different plants. 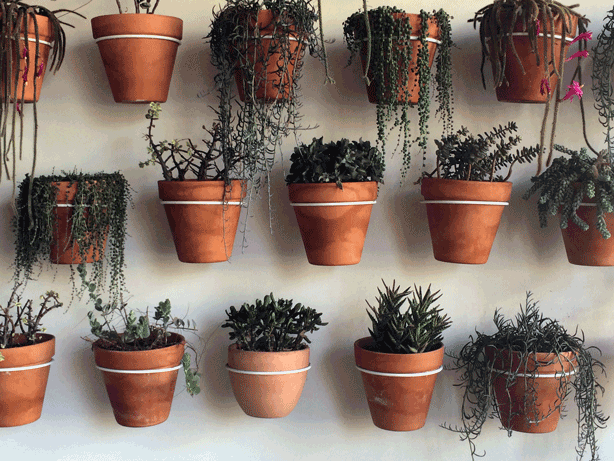 Repurpose rather discard some of your unused possessions, turning them into wall planters. Even old bicycle wheels can take on new life as wall planters to create a whimsical vertical garden. Think inside the box to take your vertical thinking to new heights. You are only limited by creativity and elbow grease. With a combination of textures, colors and sizes, you can create a visual feast, plus you’ll get all the satisfaction of taking care of and watching your garden thrive year-round no matter what the weather is like outdoors.